With Madeline you can forget about the shirt banality. Form, colour and patterns combine to create a unique mix! 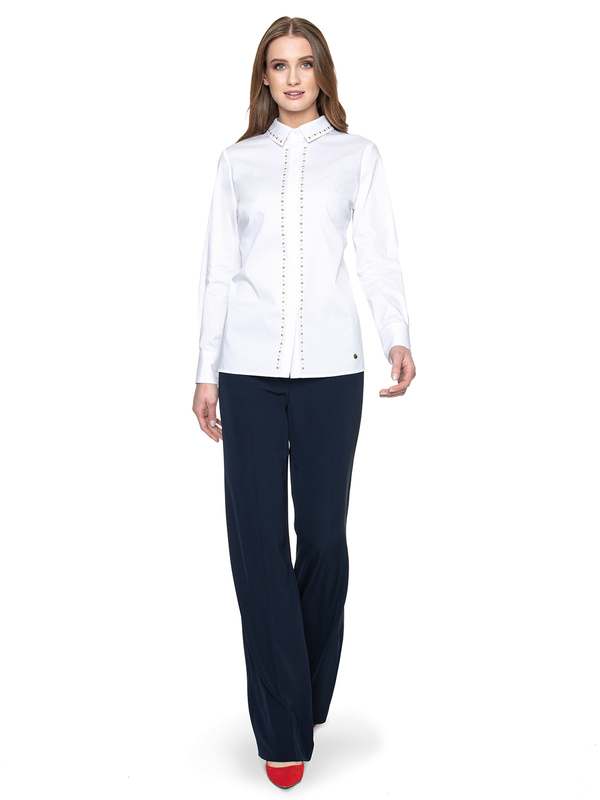 Madeline is an unusual shirt with an elongated cut. The belt and waist emphasize the decorative binding. The shirt is two-coloured, white and blue. The colour stripes are placed asymmetrically on the shirt. 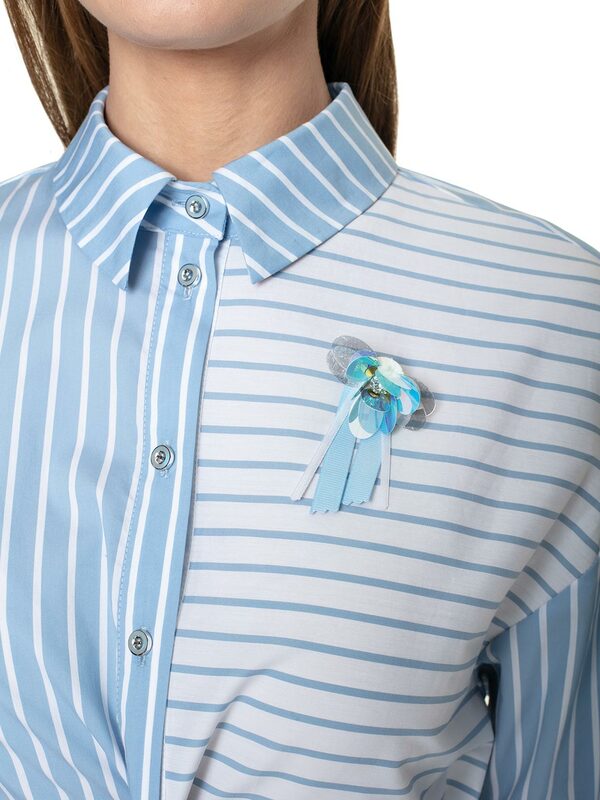 The cuffs are distinguished by thick, white and delicate blue stripes. At the breast height, the shirt is decorated with an application. Madeline shirt has a slightly less formal character, so it fits perfectly with tight navy blue jeans or jeggins. Match it with comfortable high-heeled shoes and a chain bag of clutch bag.